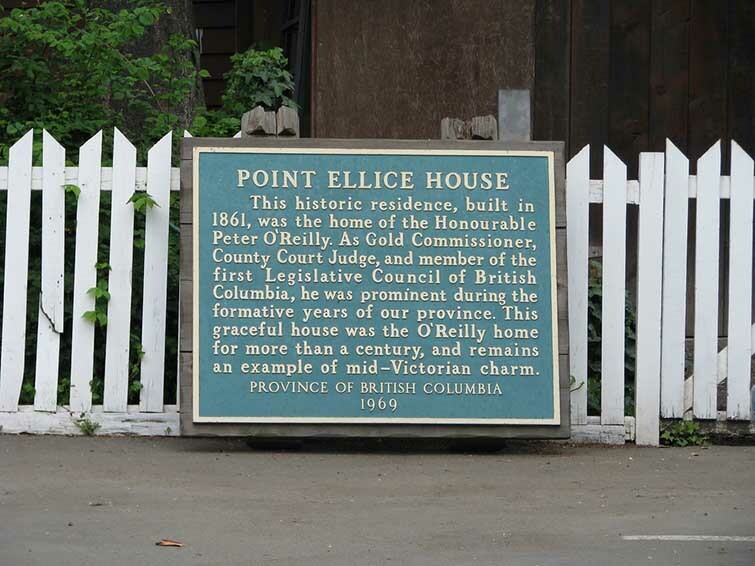 Point Ellice House - Historical Places of Victoria, B.C. For a glimpse of Victorian life during the roaring twenties, look no further than Point Ellice House. The estate, owned by the O’Reilly family for over 100 years, is now a time capsule covering the period from 1890-1920. After immigrating to Canada from Ireland, Peter O’Reilly lead a commanding role in Colonial Vancouver Island, acting as one of the first Gold Commissioners and Judges. After marrying Caroline Trutch, the sister of the first Lieutenant-Governor of the now British Columbia, the two moved in to the Port Ellice House. The couple was highly regarded by Victoria’s other socialites, so the house saw numerous parties and gatherings. The O’Reilly’s were said to have had the best lawn tennis courts and croquet grounds in the city, which helped their status in the colony. Point Ellice House was a top destination for the city’s social elite. After the O’Reilly’s children’s children had grown up, the time came to end the O’Reilly era of the Point Ellice House. Peter and Caroline’s grandson sold the estate, along with its entire contents, to the Province of British Columbia. Thanks to the realization of the value the house contained, Point Ellice House can boast being one of the largest collections of late Victorian and early Edwardian trinkets, treasures and daily objects. Better yet, they’re all kept in their original home and setting. Point Ellice House was built in 1861 and was purchased from Charles W. Wallace by O’Reilly for only $2,500. Of course, as the O’Reilly family’s budget grew, so did the house. Additions included Italian-esque features such as mouldings and brackets under the eaves, as well as gables and elegant pillared verandahs. 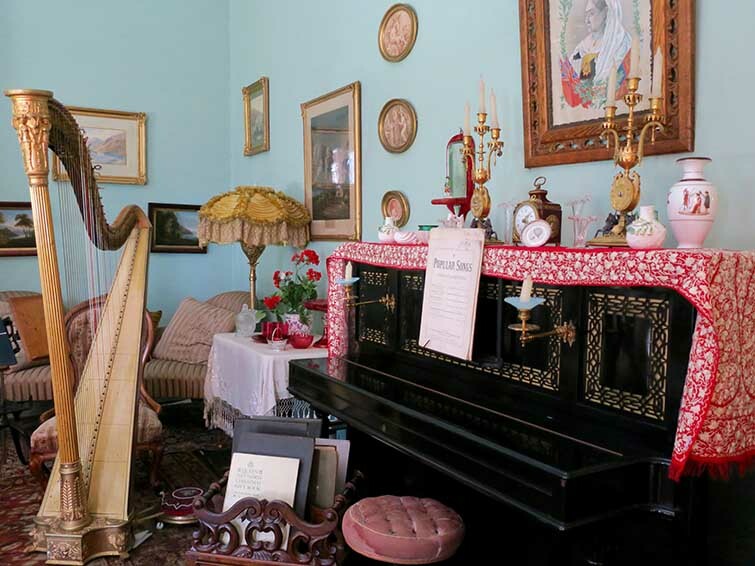 A visit to the Point Ellice House is like stepping into a treasure trove for the 1900s. The rooms are still made up as the family would have had them, with countless wares throughout. There’s even a harp set out as though someone had just stepped out of the room from playing. A favourite feature of the Point Ellice House is its Secret Tea and Vintage Shoppe. Pay it a visit to book your teatime and look for the perfect souvenir or gift. Then, wander through the household with an audio set to get inspired for your high tea. Better yet, guided tours are offered by knowledgeable guides, giving you an in depth look into life at the Point Ellice House. The historical gardens are also a highlight, and the property is located on the Gorge Waterway, allowing beautiful views close to downtown Victoria. For a twist on a classic visit, catch a water taxi to the Point Ellice House dock! While the area surrounding Point Ellice House is an industrial zone, one step through the garden gate transports you into a lush, historical oasis. The house was registered as a National Historic Site in 1966, and is a favourite for those who love to time travel and enjoy the finer things in life. Don’t forget that you need to make reservations for high tea!